This handy, lightweight saw folds to fit in your pocket. 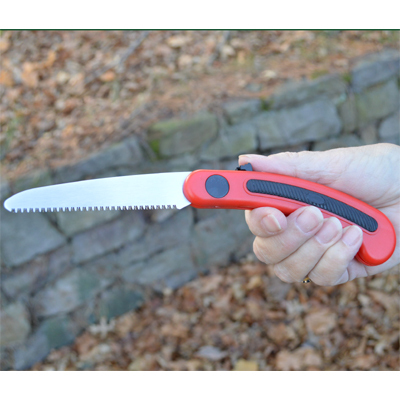 It has a 3 1/2" high-carbon steel and chrome blade with ergonomic plastic handle. Great for small pruning chores up to 2". Blade locks open. 8 1/2" long and folds to 5"